Description and Similar Species: Wingspan 44-51mm. 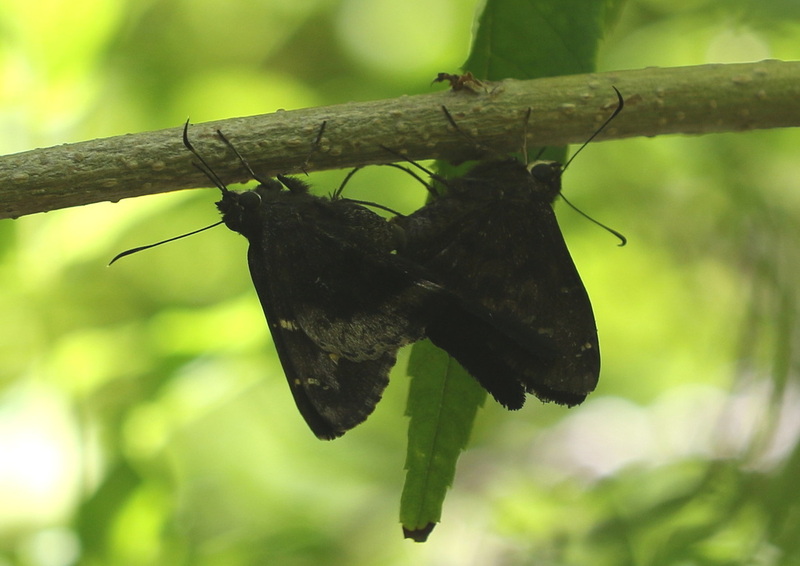 Both sexes have brown uppersides with a V-shape of white dots on the forewing and a chequered fringe. 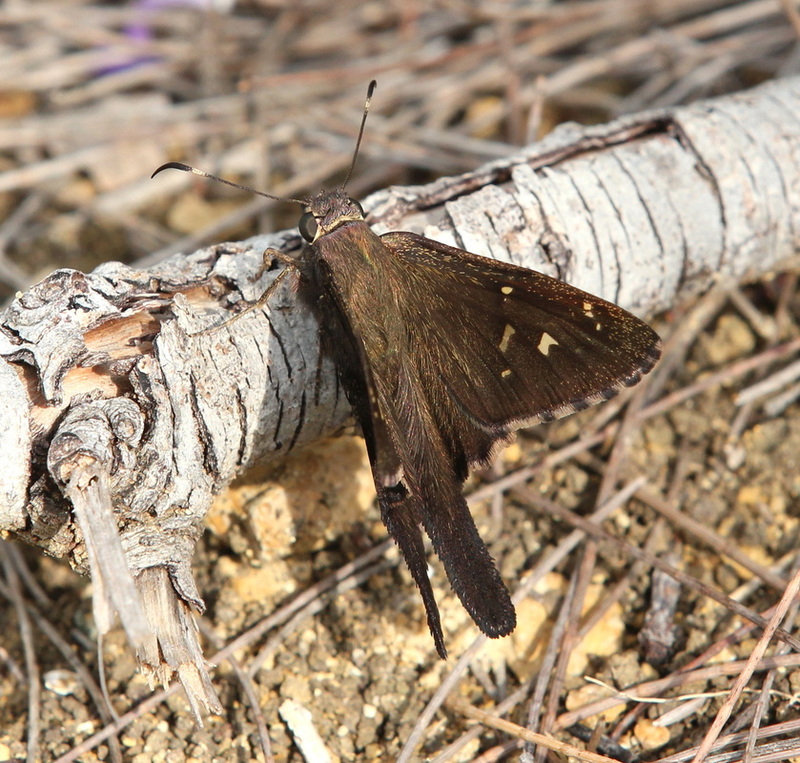 Males have slightly darker forewings. 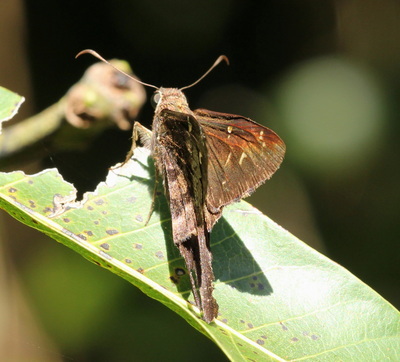 Underside is brown with a purplish tinge and darker transverse bands. Flies low to the ground. 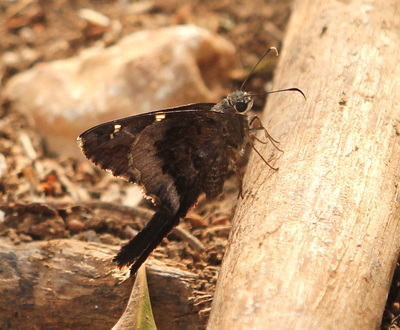 This one of three species of long-tailed skippers found in Cuba. 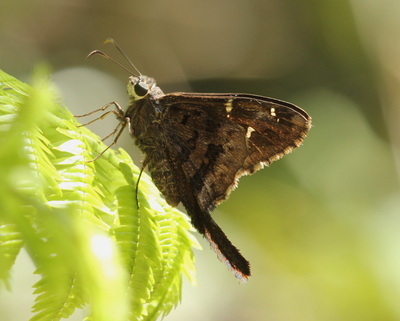 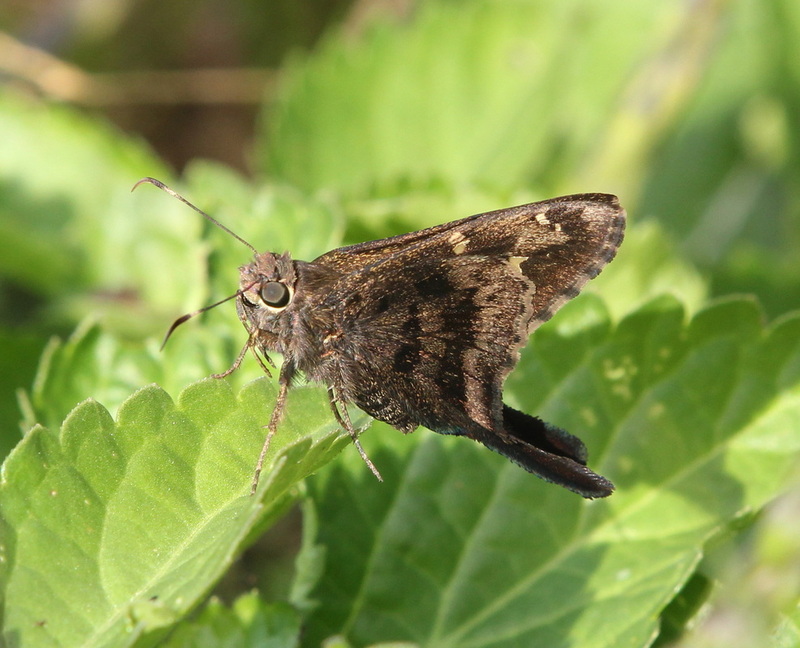 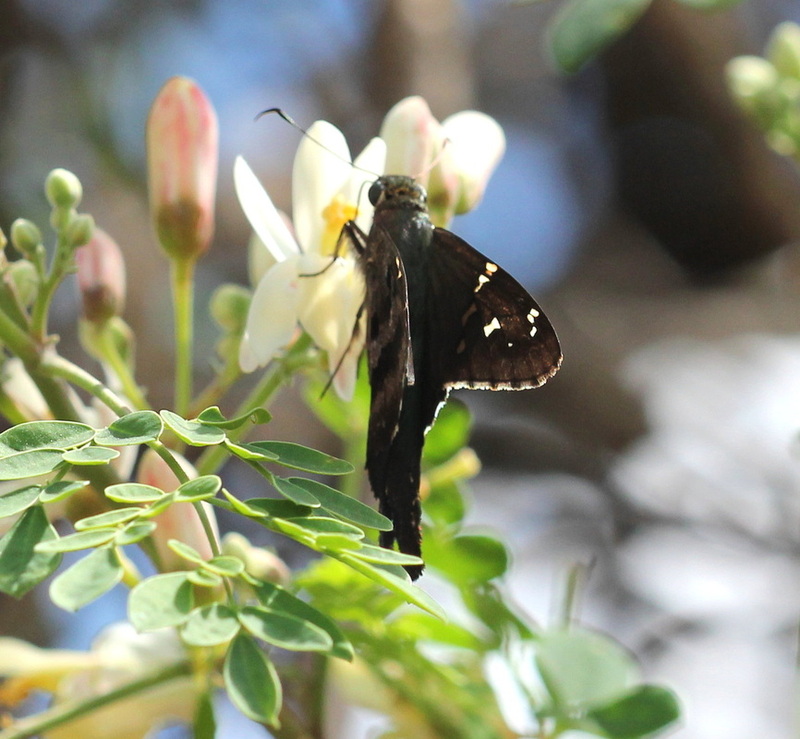 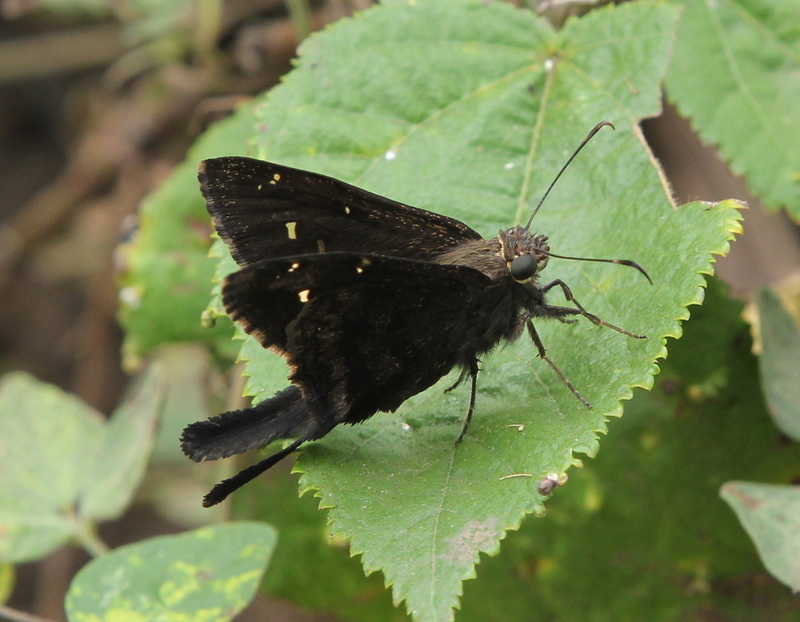 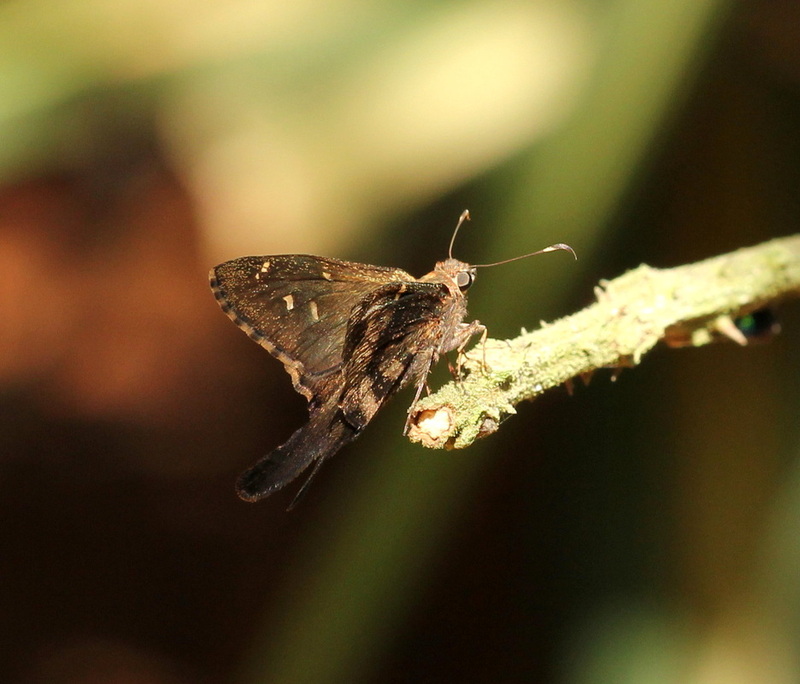 Lacks the blue pruinescence on the upperside of Common Long-tailed Skipper Urbanus proteus. 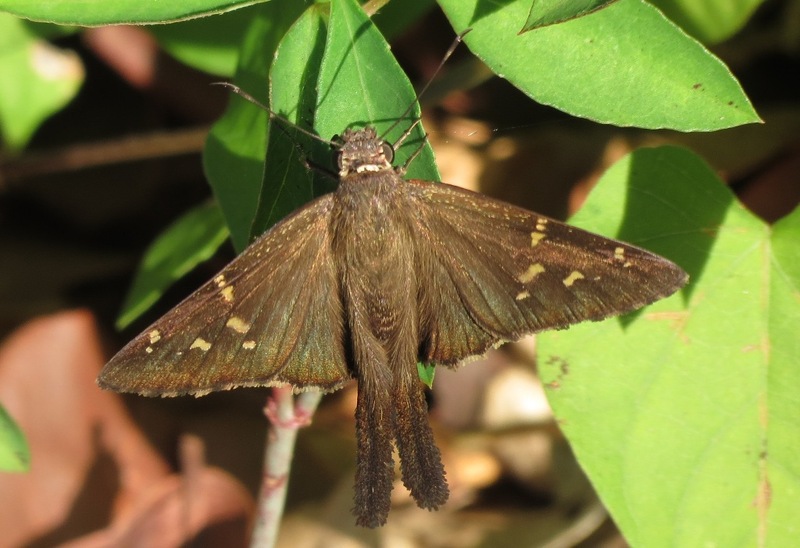 Chioides marmorosa has more chestnut upperwings and a boldly patterned underside that shows pinky-purple on the hindwing. Continuously brooded and seen in all months from December to August and possibly others. 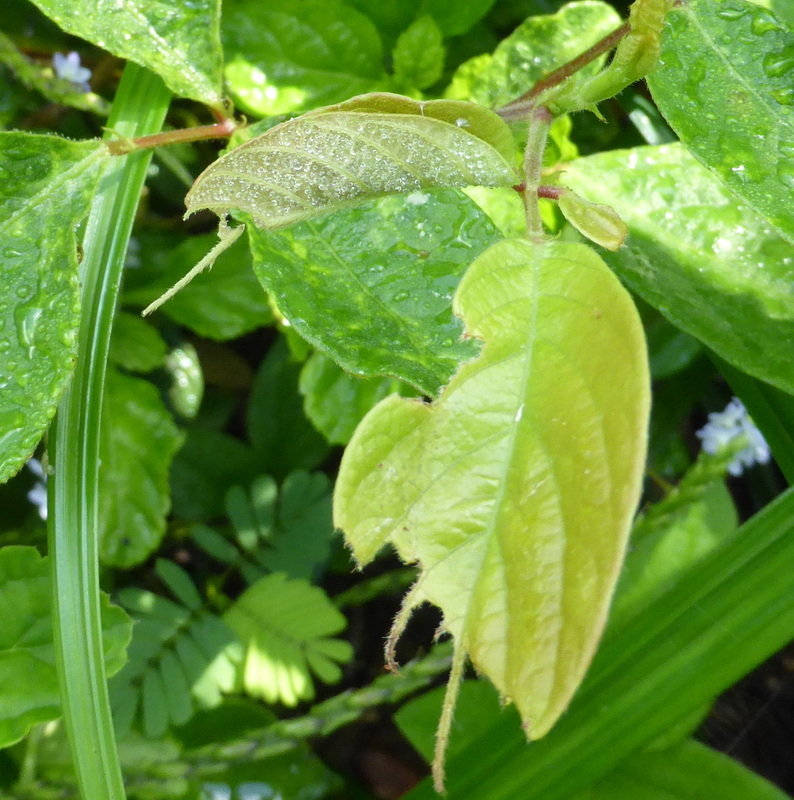 Range: Southern USA and Florida to Argentina. 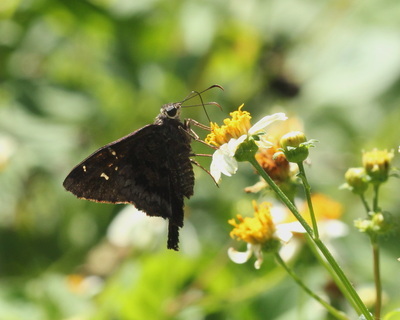 Nectar Plants: Stachytarpheta jamaicensis, Ageratum conyzoides, Tournefortia hirsutissima, Walteria americana, Lippia alba, Tabernaemontana amblyocarpa, Lantana camara, Bidens pilosa, Wedelia rugosa and others. 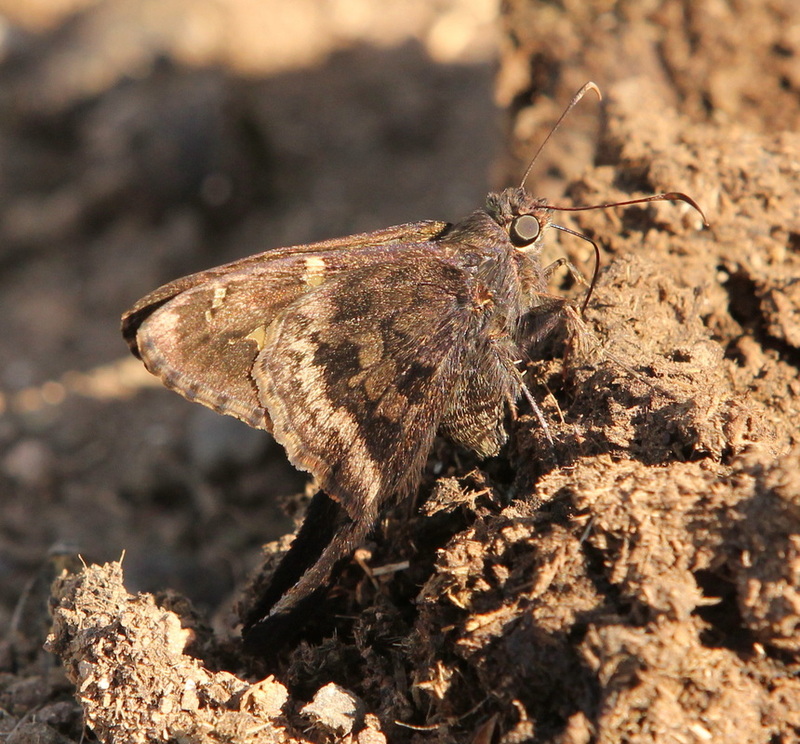 Also feeds on dung. 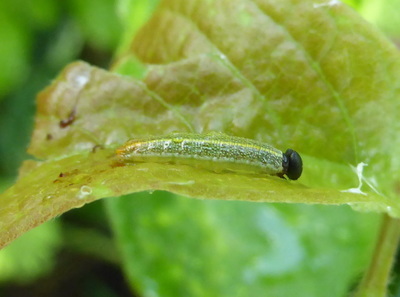 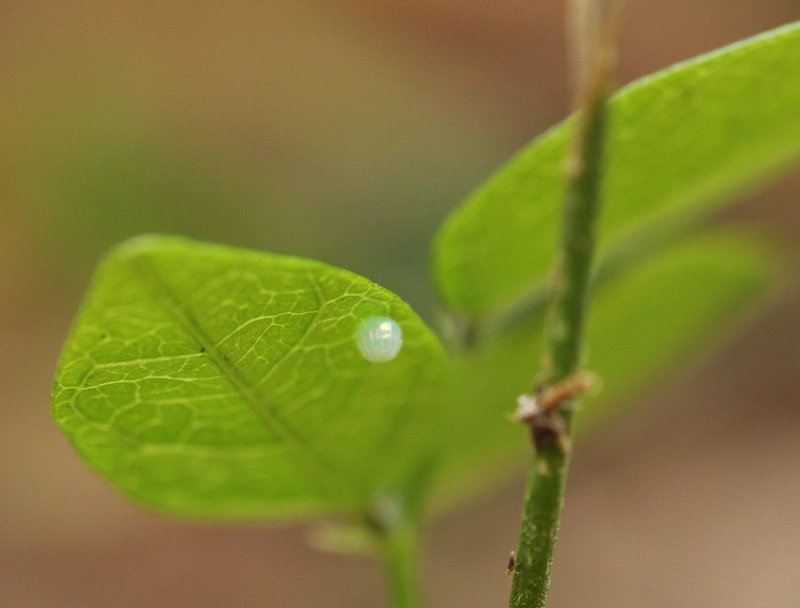 Larval Foodplants: Beans such as Phaseolus and Desmodium in the family Leguminosae.